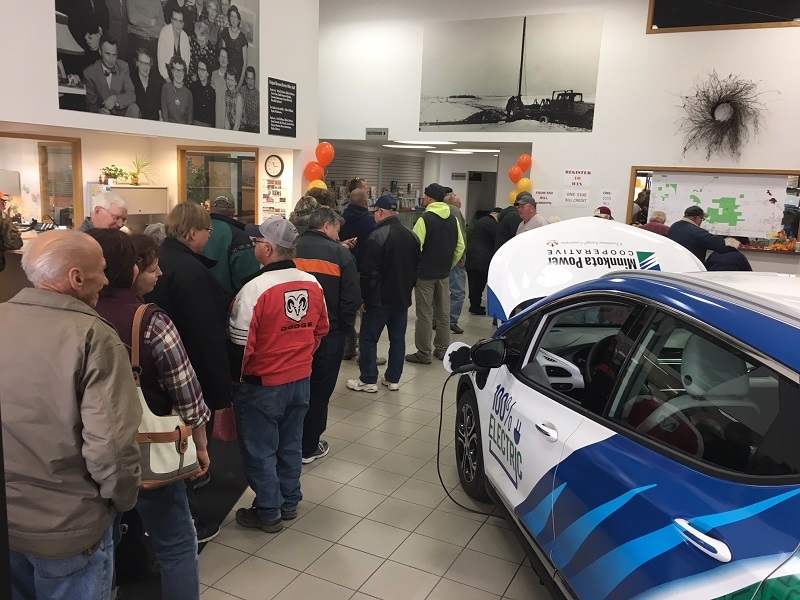 Co-op Month continues this week in the great north, and that means more electric car trips out to our distribution cooperatives’ member appreciation events. 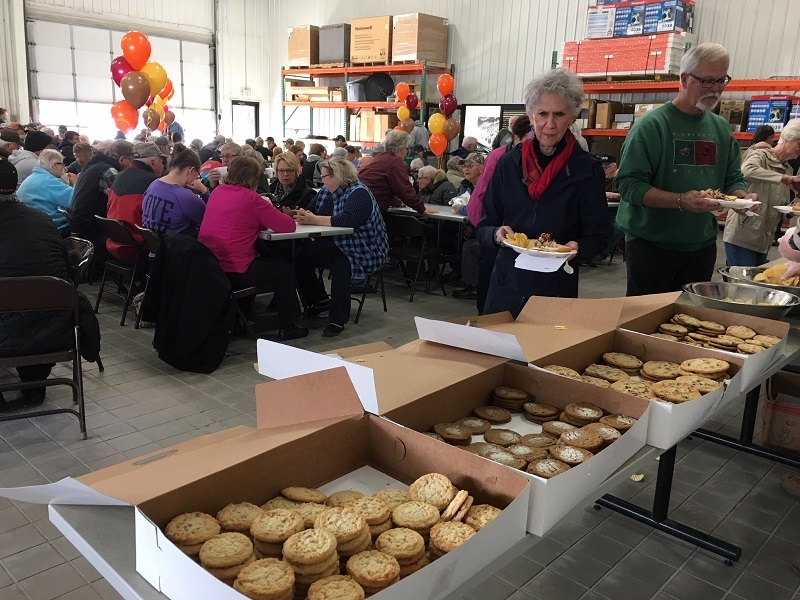 Being somewhat of a newcomer to the co-op world, I had only heard secondhand stories of Roseau Electric’s now-legendary Co-op Appreciation Day. 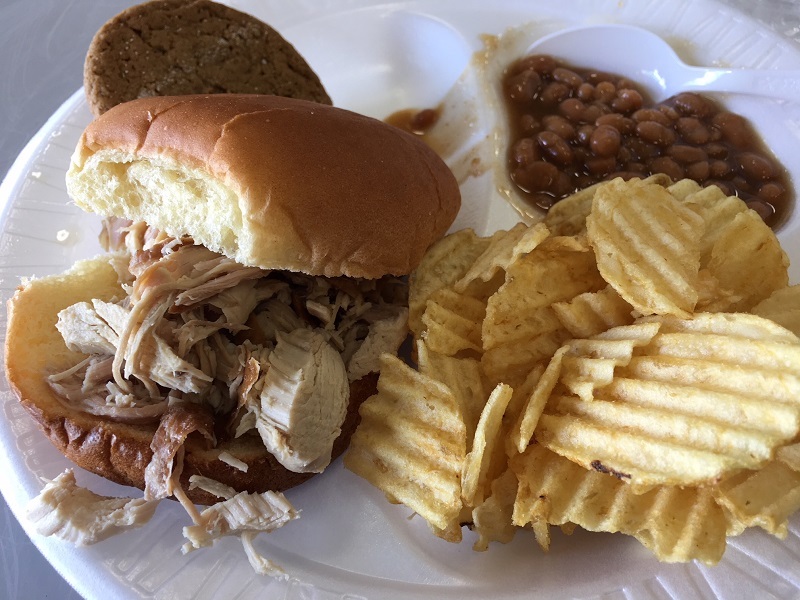 This is what I had gathered – the absolute best turkey on a bun, dished up to hundreds of members, some waiting in line up to two hours before lunch is even served. It was sunny and 50 degrees when I left with the Bolt for the 115-mile drive. Based on previous travels, my full charge was giving me an expected range of 177 miles. That wouldn’t get me to Roseau and back. I left the afternoon before the event to take advantage of an overnight Level 1 charge at the Roseau AmericInn (that team is so accommodating and inquisitive every time I stay – just the best). Weather wouldn’t be an issue. I could even bypass the heater because the sun was hot and bright enough to heat the cab. The biggest challenge was going to be avoiding Minnesota’s two seasonal road dangers: deer and sugar beets. I came across both, but ran into neither. Over the drive, my anticipated mileage leveled out because of my efficient driving (yes, I’m bragging), and I arrived in Roseau with 90 miles of remaining range. I plugged in, checked in, and prepared myself for a day of gobbling up EV questions and turkey. Even with perfect driving efficiency, the maximum 107 miles of remaining range wouldn't get me back to Grand Forks. Thanks, Roseau AmericInn, for letting me plug in! Fourteen hours of 110-volt charging gave me 58 miles of additional range (about four miles per hour at 12 amps). As a test, I toggled the heat on and off, and it showed a difference of seven miles of range. That's a small price to pay for comfort! I would have more than enough power to get back to Grand Forks that afternoon. I love small towns so much. My day at the co-op was wonderful. Since the building used to be a car dealership, I was able to park in the front lobby, right where members were flooding in to register for prizes, grab a heaping plate of food and enjoy conversation with their neighbors. I was lucky to have prime parking at the co-op entrance, where members killed some time in line by tossing me all of their EV questions. I had the chance to engage with more than 500 people over the three-hour event, some while they were in line and others after they filled their bellies. 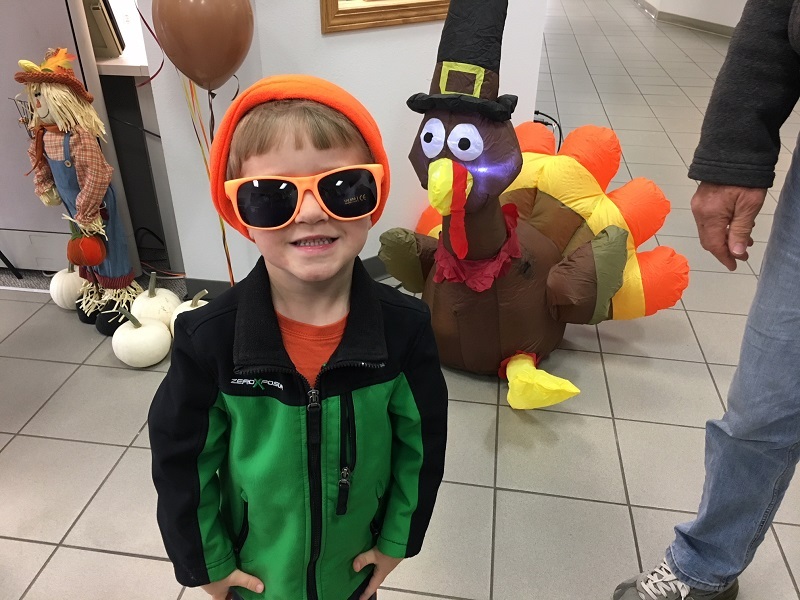 The kids loved the neon EnergizeYourDrive.com sunglasses, and the older crowd loved trying to stump me with EV questions surrounding battery reuse and maintenance. Want to get quiet folks asking questions quickly? Pop the hood on an electric car. 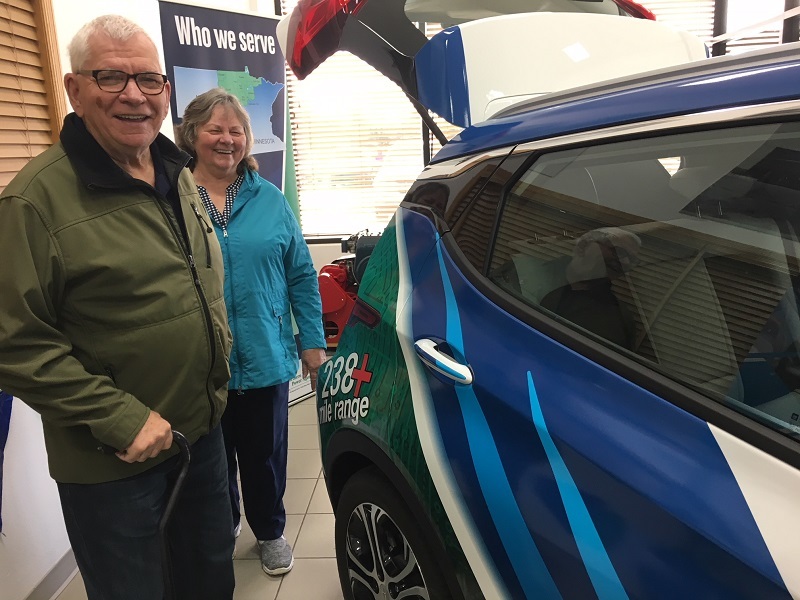 People were really getting a kick out of the little electric car from Grand Forks. Some still don't believe how quickly EVs are catching on in the United States. Roseau Electric was serving up smiles alongside the delicious lunch. One question comes up more and more in my travels – when more people are driving electric and fewer are paying federal and state fuel taxes, how will we fund transportation projects? It’s a question I can’t confidently answer, because, although there are many ideas (including a road-usage charge), no solid, standardized plan is yet in place. Time will tell. And I’ll be listening. The house was packed with happy eaters through the entirety of the event. I did find a moment to try the famous Roseau turkey for myself. Geez. I now know why hundreds come from around the area to celebrate their co-op in this way. 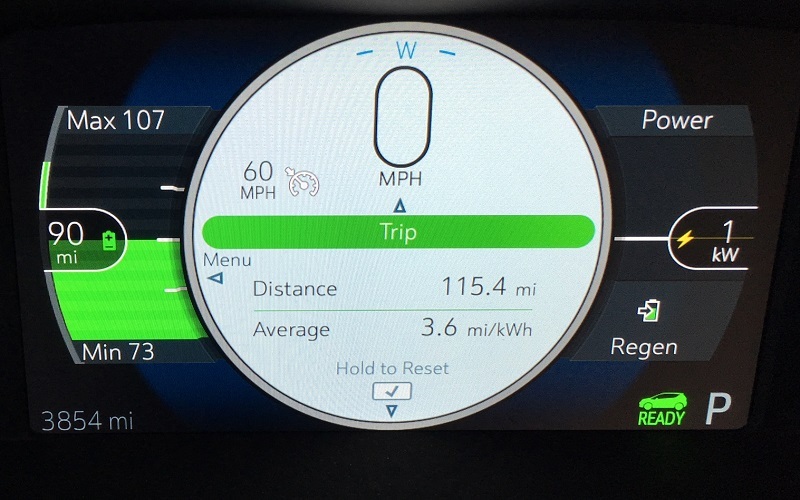 I tackled the drive home with no problems (I squeezed a few more miles of Level 1 charge out of the co-op while I was there) and even took on a 60-mile stretch of 75 mph interstate driving without worrying about efficiency. You have to love the power of electricity. The Bolt's gusty jaunt to the annual meeting of PKM Electric Cooperative turns into a powered-up party. 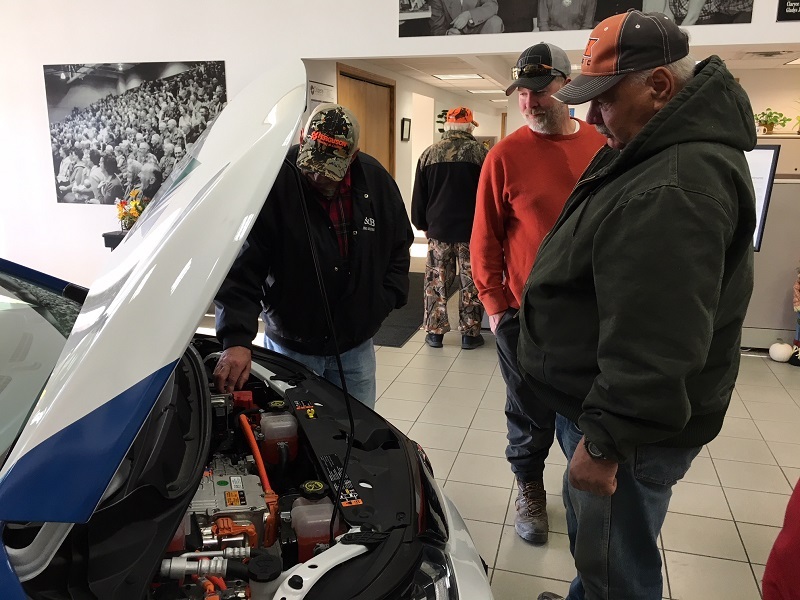 A visit to Dilworth, Minn., sparks a lively community conversation about the future of EVs in the cold North. 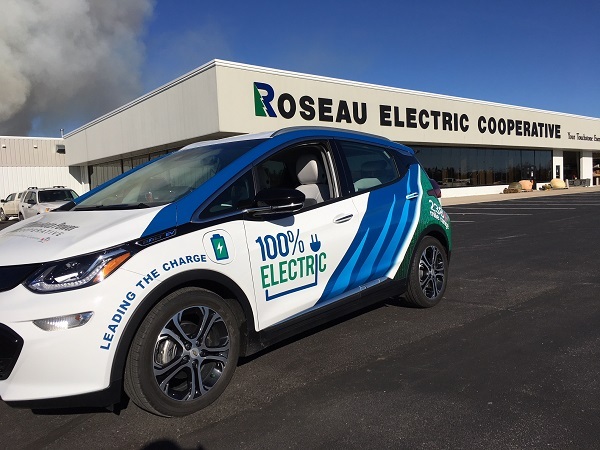 The Minnkota Bolt kicks off electric co-op annual meeting season with a (finally) above-zero drive to Mahnomen, Minn.